If you eat a standard American diet, or even a relatively healthy American diet, chances are you’re eating too much added sugar, and you’re addicted to it. I felt compelled to write about this because I keep coming across seemingly healthy products marketed to vegans, that have very high amounts of added sugar. Examples include vegan frozen fruit bars, energy bars, cereals, “natural” sodas, and more. Some tips for reducing your added sugar intake are included at the bottom of this post. Added sugar is defined as sugar added to something during preparation or processing. When you’re reading ingredients and see sugar, organic coconut sugar, beet sugar, agave, sucrose, maltose, high fructose corn syrup, molasses, honey, cane sugar, corn sweetener, raw sugar, syrup, fruit juice concentrate, you should know that these are ALL considered added sugars. When you see something like “organic coconut sugar,” sure maybe at one point it naturally occurred in the coconut, but it does not naturally occur in that cookie you’re eating – it was added, and likely at a higher concentration than it occurred in the coconut. The only type of sugar that is not “added sugar,” or, in other words, that is “naturally occurring sugar,” is the sugar present in whole fruits, whole vegetables, and breastmilk. An apple does indeed have sugar, but it also has fiber and water which fills you up, so you eat far less sugar than you would if you were snacking on skittles. What’s wrong with added sugar? The problem is not necessarily with the sugar itself, but with the amount of sugar we consume. The ability to isolate sugar and add it to foods means we can easily consume much more sugar than the amounts that naturally occur in whole fruits and vegetables. High consumption of added sugars has been linked by research to increased risk factors for heart disease, high blood pressure aka hyper-tension, and Type-2 diabetes. Of course, eating too much of anything, for example, salt, can have negative health consequences. 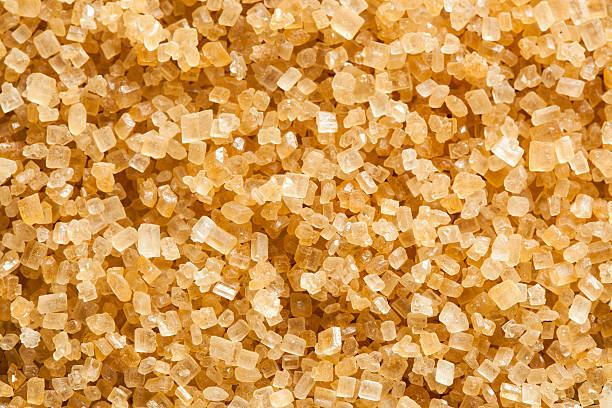 But the prevalence of added sugar, especially when it’s masquerading as something healthy when abeled “organic beet sugar,” etc., combined with the fact that sugar is addictive, means we need to be extra careful. Recent studies show that sugar is as addictive as drugs like cocaine. Sugar intake fires up the brain’s reward regions, resulting in a pleasurable sensation. But, just like with addictive drugs, people build up a tolerance to sugar. The more sugar you consume, the less reward you feel, so you have to consume even more sugar to chase that initial amount of pleasure. Anyone who has been addicted to Coca Cola knows what this is like! How much added sugar should we consume? The American Heart Association recommends no more than 36 grams of added sugar for men per day, and 25 grams of added sugar for women per day. These numbers are shocking when you look at how much sugar is in certain foods or drinks you might think of as healthy. Take Vitamin Water – a single bottle contains 27 grams of sugar! A single 12oz bottle of vegan soda from Rocky Mountain Soda has 36 grams, and a tiny 1.7oz Coconut Cream Pie Larabar food bar has 24 grams of added sugar. Tips for limiting your intake of added sugars from someone who used to be addicted to candy. Watch this 60 Minutes segment called Is Sugar Toxic? (it’s only 14 minutes long) about sugar. It might give you some extra motivation to make some of the habit changes listed below. A first step in reducing your intake of added sugars is to educate yourself on where it’s hiding in your diet by reading the labels of all the foods and drinks you regularly consume. Then you can proactively decide which items you can substitute, and which ones you just can’t give up. Think of your recommended daily amount of added sugar as an allowance, and you have to pick what you most want to spend it on. I love candy and desserts, so my strategy was to make sure I wasn’t using up my allowance on foods I find boring. When I read the labels for the foods and drinks in my daily diet, I was shocked by how much added sugar was in my breakfast routine. Most breakfast cereals have over 10 grams of added sugar, and many plant-based milks also have lots of added sugar. Sometimes I would eat a vegan protein bar on the go and these often have over 20 grams. I was blowing most of my allowance before 9am! Some other places where hidden sugar pops up are in breads, pasta sauces, salad dressings, and fake meats, so check the labels and choose accordingly. One of the most reliable ways to limit your daily intake of added sugars is to drink water instead of soda or energy drinks when you’re thirsty. Sugar-sweetened beverages often contain more than the daily recommended amount in a single serving. Did you know that one bottle of Gatorade has 34 grams of added sugar? Decreasing sugar-sweetened beverages has also been shown to decrease risk factors for obesity and type-2 diabetes. And don’t forget about alcoholic beverages. Watch out for the sugar content of sodas you might mix with alcohol, as well as champagne, and dessert wines. Sugar-sweetened beverages are also highly addictive. Breaking the habit is difficult but great for your health and wallet. I know because I used to be addicted to Coca Cola. Whenever possible, make whole fruits and vegetables a part of your meal. If you don’t have access to fresh fruits and vegetables, frozen ones are a great, affordable option. The more you’re filling yourself up with whole fruits and vegetables, the less you’re consuming stuff with added sugar. High intake of whole fruits and vegetables is associated with a lower risk for heart disease. 5. Sweeten it with a banana! Whole fruits have naturally occurring sugar. I find that one banana is often the perfect amount of sweetener or my two go-to breakfasts besides cereal which are oatmeal or a protein shake. For oatmeal, I use water and old-fashioned rolled oats – the kind that take 5 minutes on the stove top. When it’s done cooking I mash in a single banana, and if I happen to have anything else lying around like pepitas, berries, flax meal, or even protein powder, I’ll throw it in. That’s zero grams of added sugar! Oatmeal is also a very affordable breakfast option. For protein shakes, I again use unsweetened protein powder, usually NKD Nutrition Pea Protein powder, and sweeten it with a single banana in the blender. No added sugar there. Snacking between meals can become an unconscious habit we barely notice. But because snacks often come in portions that are greater than what we should consume in a single sitting, reading labels for calorie and added sugar content is crucial. If you buy one of those boxes of Sour Patch Kids at the movies, you should know that one box has 370 calories, and includes a whopping 64 grams of added sugar. Realizing just how much added sugar is in some of our favorite snacks is a bummer. But it can also motivate you to form new healthy habits. Some of my favorite healthy snacks are baby carrots dipped in hummus, a banana, a Fuji apple. The prospect of biting into an apple instead of candy might seem pretty boring, but I’ve found that once I start, it’s really an enjoyable experience and by the end I’m full enough that my candy craving has gone down. It’s a sign of decadence when a culture places the same value on taste as on sustenance. If you are able to get the nutrients you need every day, then simply appreciating that fact can be powerful. Take protein shakes, for example. The ability to prepare and drink a day’s worth of necessary protein in liquid form in just a few minutes is pretty incredible. Must it also taste awesome? Protein powders come with a range of added sugar content, from 0 grams to over 20 grams. Sure, the zero sugar powders might not taste great, but considering the fact that you even can consume that much protein so quickly might remind one that the taste is really not the worst thing in the world. And you can always add a banana! I hope this post on added sugar has been helpful. Use our free vegan ingredient search engine to check if something is vegan.